As you know, your feet are 3-dimensional - length, width and height. Unfortunately, all tools used to measure feet are only 2-dimensional - length and width. 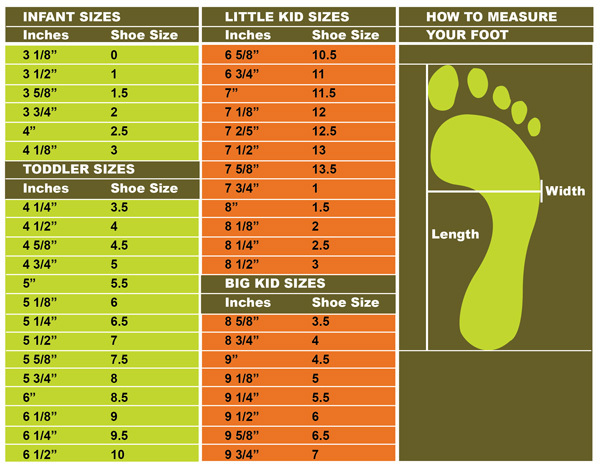 Since everybody's feet are different it can sometimes be hard to measure your TRUE shoe size. Lehigh Outfitters also carries a wide range of styles and brands; and not all brands are built the same. So if you are familiar with the brand you plan to purchase, we recommend ordering the same size you normally wear in that brand. If you are new to a brand it is still best to go with the size you are currently wearing assuming they are a comfortable fit. Worried about trying them on before you buy? Remember, if they don't fit right, simply return them for FREE! And if you need them quickly, order 2 different sizes and return the one that doesn't fit. Click for return policy. 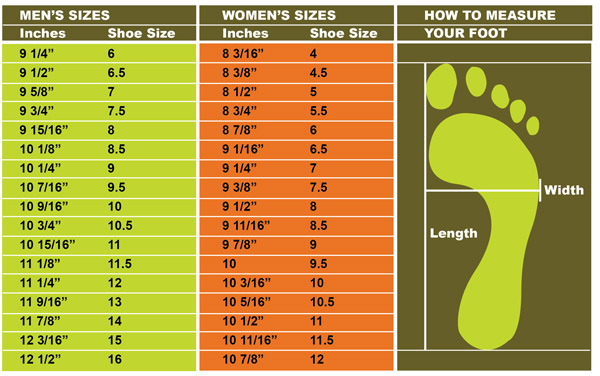 Meaure your feet with the below charts to help determine your shoe size according to your foot length and width in inches. 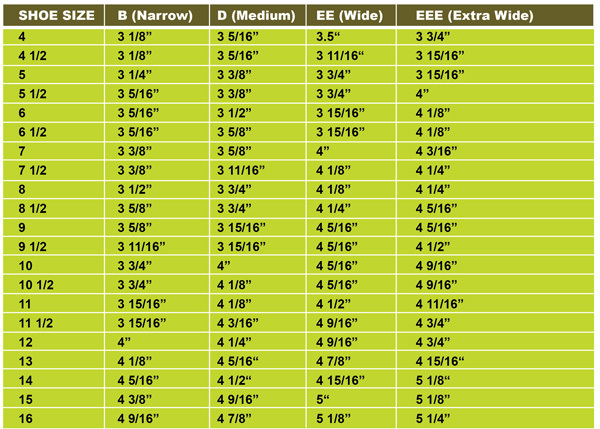 The cart measurements represent industry standard. When measuring your foot, stand on a solid surface wearing socks that you intend to wear with the shoes you are planning to purchase. Place a ruler on the ground. Place your heel at the lowest end. Read the number where your longest toe ends. Use this number with the below chart. 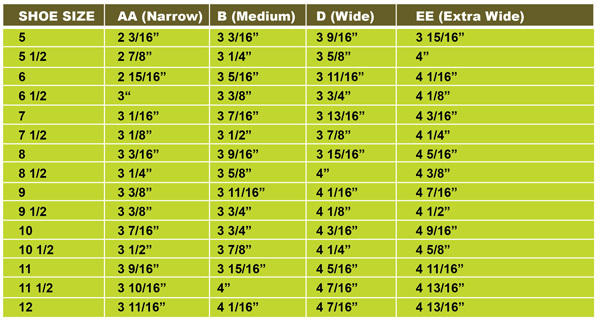 After measuring your foot length match the corresponding shoe size from the above chart to the below Men's and Women's width charts to determine your foot width. If you are a woman planning to buy a men's style simply subtract 1.5 sizes from your current size. For example: If you wear a women's size 9, you would wear a men's size 7.5. If your foot length or width numbers are between sizes, order a half size up. Your left foot and right foot may not be the exact same size, so measure both and go with the largest. From morning to evening your feet will swell. Best time to measure is afternoon or later after you have been on your feet for an extended period of time. If you have any doubts about your true foot size you can visit a local shoe retailer to have your foot measured with a brannock device.